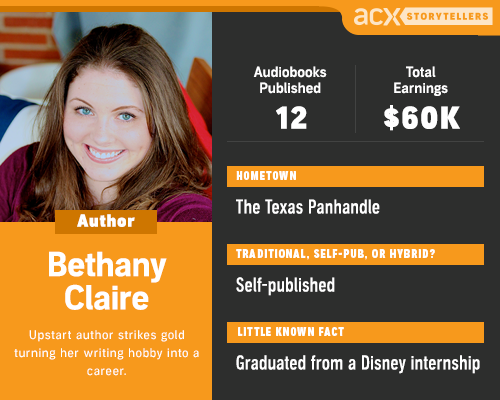 Self-published author Bethany Claire has used ACX to publish her ten books and two boxed sets in audio, amassing over $60,000 in earnings in 20 months. A master of Scottish time travel romances who harbors a not-so-secret Disney obsession, she joins us today to share her audiobook story. Q: How did you become an author and audiobook publisher? A: The writing bug bit me in college. I started writing creatively just for fun, which allowed me to escape from my 18-hour course load for a half an hour each day, and I lived for it. But that half hour quickly grew into several hours, and I knew that my passion for writing went far beyond the enthusiasm I’d had for any other hobby. Over the course of the next four years, I changed my major seven times. But it wasn’t writing. Then, on one fateful summer day, I heard about a writers’ academy hosted by my university. I enrolled right away. It was the first time I’d been around other people who were as passionate about writing as I was. It totally changed my world. When I decided to drop out of college and pursue writing full-time, I wrote like a fiend, studied every single thing I could find about the business, and made a plan for publication. 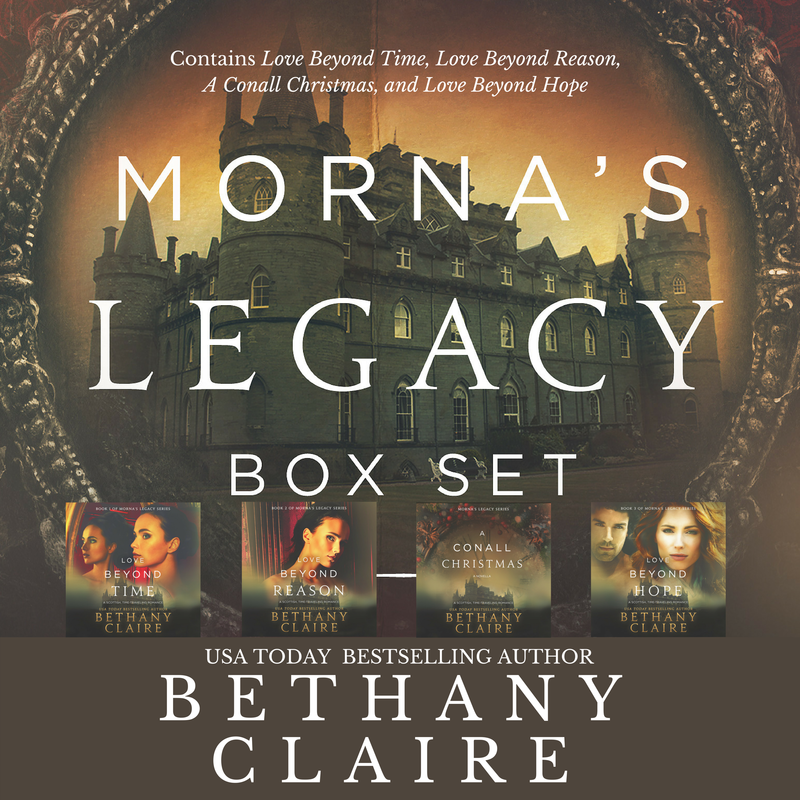 I continued to work part-time before releasing my novels, but five months after dropping out of school, I released the first three books in my Morna’s Legacy Series. Less than a year after that, I hit the USA Today best-seller’s list. Two years after releasing my first three books, I made the jump into audio after listening to ACX representatives speak at the Romance Writers of America (RWA) national conference. It was something that my readers wanted, and I’d been curious about for a while. I knew it had the potential to be an extra source of income for my business, and I looked forward to the creative process of bringing the characters in my stories to life. Q: What decisions have contributed to your audiobook success, and what made them the right decisions? A: From the very start, I think one of the best things I did was offer a high per-finished-hour payment rather than the royalty share option. Despite my fear of investing so much money upfront for the audiobook production, I knew that my goal with my business has always been to look at long-term success. I knew that eventually I would earn out on that investment, and once I did, I would be so glad that I was able to keep my full royalties. It was an excellent decision. It only took a couple of months for me to earn out on the investment of paying my narrator a set amount. Focusing a section of my marketing efforts towards the sale of my audiobooks has really helped with my success. Giving out the free download codes that ACX provides with each new audiobook release is a great way to build buzz among your readers about a new release and to encourage reviews. I also post and tweet about my audiobooks often, and use online design tools such as Canva to create beautiful and professional-looking images to go along with my posts and ads. A: Writing consistently is one of the best things I do to continually grow my skills. When I do skip a few days of writing—whether it be to travel, sickness, or just plain laziness— my writing is always a little rusty on my first day back. On the business end of things, I’m continually working to stay on top of changes in the industry. Conferences are a great way to do this. I try never to miss RWA’s national conference and will be attending the NINC conference for the first time this year. Podcasts are a great way to stay educated. I love Joanna Penn’s podcast. She does a great job of discussing a wide range of self-publishing topics, including audiobooks. Another great podcast is the Sell More Books Show, which focuses on current news, and is a great way to stay on top of changes in the industry. Blogs are another phenomenal resource. Jane Friedman covers everything from traditional publishing to self-publishing, marketing, and social media. I also think every author should read BookBub’s regular blog posts, which are filled with marketing tips. Q: What do you wish you’d known when you first started out as an author? A: I wish I’d understood the importance of creating work-life balance from the start. My first few years as an author, I worked nonstop. While I know it contributed to my success, every other area of my life took a hit as a result. I hit a wall in 2016. Totally burned out and exhausted, I had to stop everything for a number of months. Hard work is important, and I love my job, but if I had started writing and publishing from a place of balance—with self-care as a top priority—I wouldn’t have suffered the major burnout that I did last year. Now that I’ve re-evaluated my priorities, everything is in better shape—even work. Q: How about when getting your start in audiobooks? I wish that someone had urged me to start sooner! I waited two years to get into audiobooks—two years that I could’ve spent growing my audiobook audience and income. I was nervous to take the initial dive into this format, but I had nothing to fear and so much to look forward to. I wish that I had considered audiobooks at the beginning of my publishing career. Another piece of advice I would offer to fellow authors is that if you have a book that contains multiple points of view, post an audition piece that allows the narrators to read from each POV. For example, all of my books have scenes from both female and male POVs, and they are romance novels. So when I posted my audition script, I included a scene from each POV, as well as a love scene. Hearing the narrators read these portions helped me cast the perfect voice. Q: What is your “must have” item in your writing space? A: Every time I sit down to write, I diffuse peppermint and orange essential oils in the diffuser that sits close to my desk. The peppermint keeps me alert, and the orange is a mood lifter. 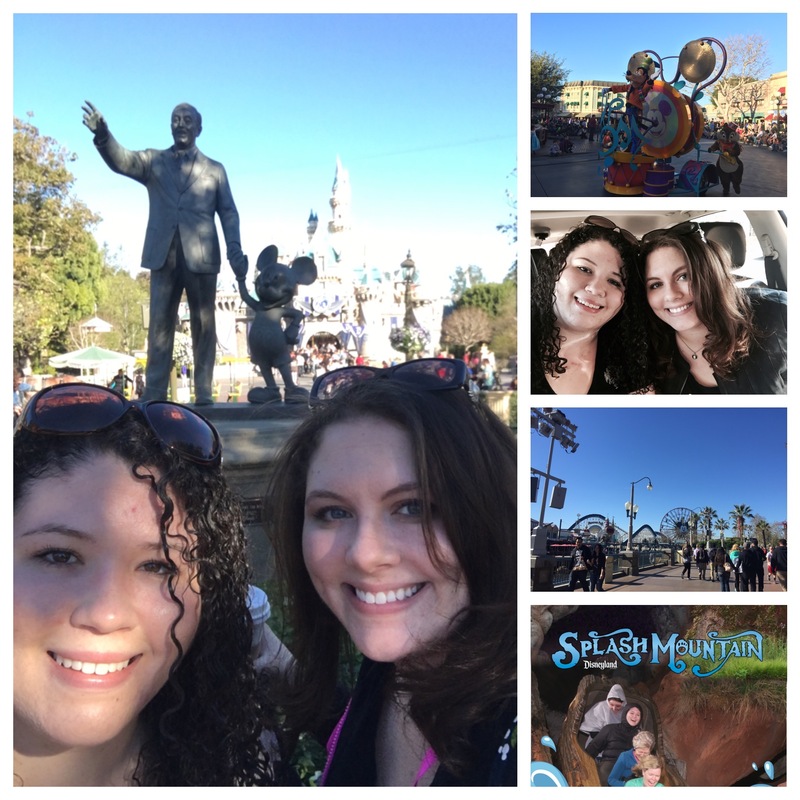 A: I can plan a trip to any Disney theme park like a boss! Seriously, Disney should hire me. I also love to play the piano, although I’ll admit that eighty percent of the songs I know are Disney. In case you can’t tell, my love for Disney is a bit of a problem. 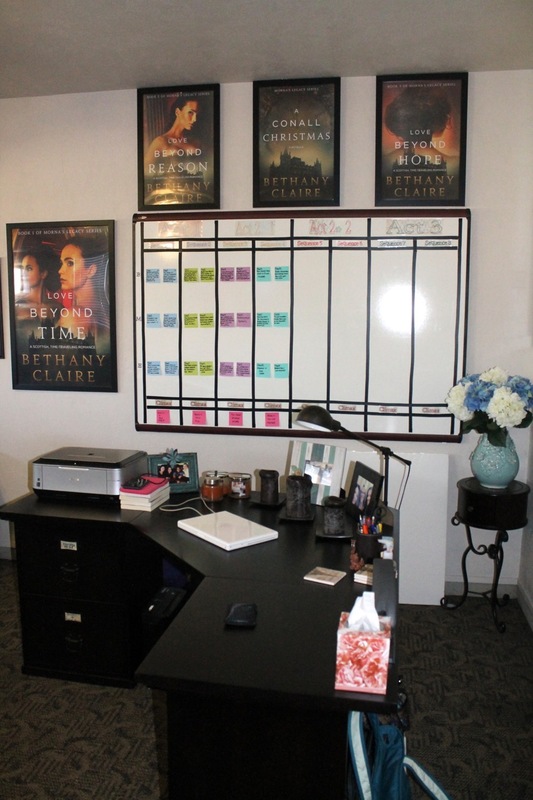 Bethany Claire is a USA Today Bestselling Author of the Morna’s Legacy Series, with more than ten books published since the release of her first novel in 2013. Bethany loves to immerse her readers in a world filled with lush landscapes, hunky Scots, lots of magic, and happy endings. Find her on Facebook, Twitter, and Instagram. This entry was posted in Authors + Publishers, Storytellers and tagged ACX, Audiobook Creation Exchange, audiobook marketing, audiobook publishing, bethany claire, make audiobooks, storytellers. Bookmark the permalink. A fabulous achievement and a writer after my own heart – way to go !! Congratulations and thanks for the advice. I’m going to listen in on those podcasts! Congrats on your success and thanks for sharing about your experiences. I just put my first book in an audiobook. It won’t be available until the middle of April. It isn’t with ACX. I might do ACX with another series and see which does better on the markets.